It is with great pleasure that the SGC International Conference honors Jordan Schnitzer with the Distinguished Advocate of Printmaking Award. 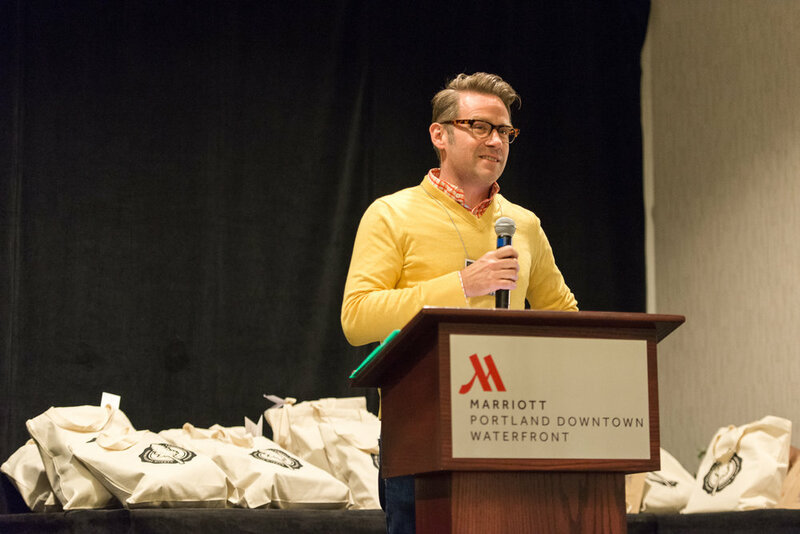 The event was held on April 2, 2016 at the Marriott - Downtown Waterfront in Portland, OR. The 2016 SGCI Conference Steering Committee decided unanimously to give Jordan Schnitzer this award in recognition of his outstanding leadership and tireless efforts in supporting every aspect of printmaking in the Northwest region. Jordan’s vision and willingness to offer access to his collections for curators building exhibitions, for research and curricular activities within academic institutions, and for the promotion of scholarship around printmaking is transformative for the field. And Jordan’s continued support of printmaking initiatives and programs continues to have a tremendous impact on the printmaking community in the region. Printmaking could not have a more committed advocate and supporter. The field is better for it. And SGC International expresses the gratitude of printmakers, scholars, curators, and print lovers everywhere through this award. Learn more about the Jordan Schnitzer Family Foundation’s passion for sharing art.